Samsung Galaxy S7 and S7 Edge are the heirs to the throne, but even the best Android smartphones on the market come with their downsides. For some annoying reason, Samsung continues to hold up the Galaxy Apps store, despite the Google Play Store being the universal hub of all Android apps for years now. Although you can simply choose to ignore the Galaxy Apps store, the fact that you are constantly bombarded by notification from the app can be troublesome. Fortunately, the Galaxy Apps notifications can be easily turned off directly from the Settings. 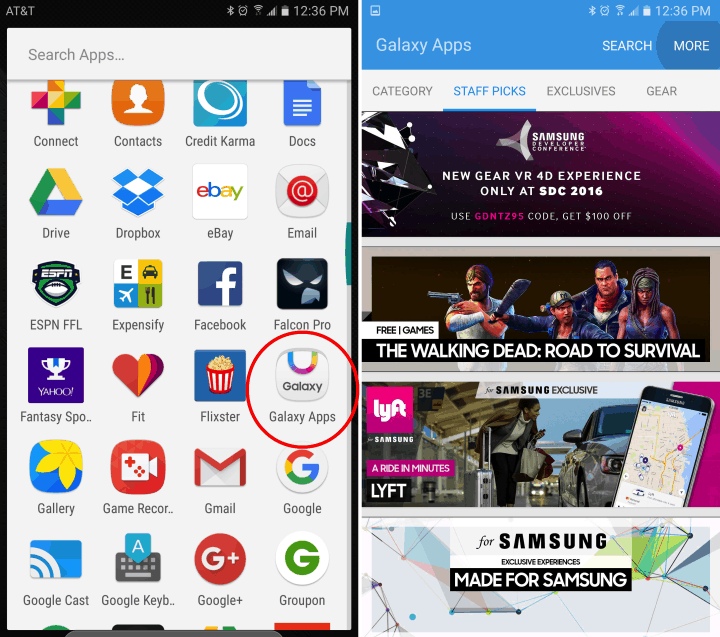 Here’s how to turn off Galaxy Apps notifications from Samsung Galaxy S7. Tap on the app drawer on the home screen and navigate to the Galaxy Apps icon. Press the More button at the top-right corner of the screen, and then select Settings. The Settings page contains a sub-section named Notifications. Here you can press the button next to “Push notifications” to turn off all the featured Galaxy Apps notifications. You can also choose to disable app update notifications by pressing the button next to “Show updates on notification panel”. This should help you keep the pesky app notifications at bay and enjoy your Samsung Galaxy S7 experience without a hiccup. 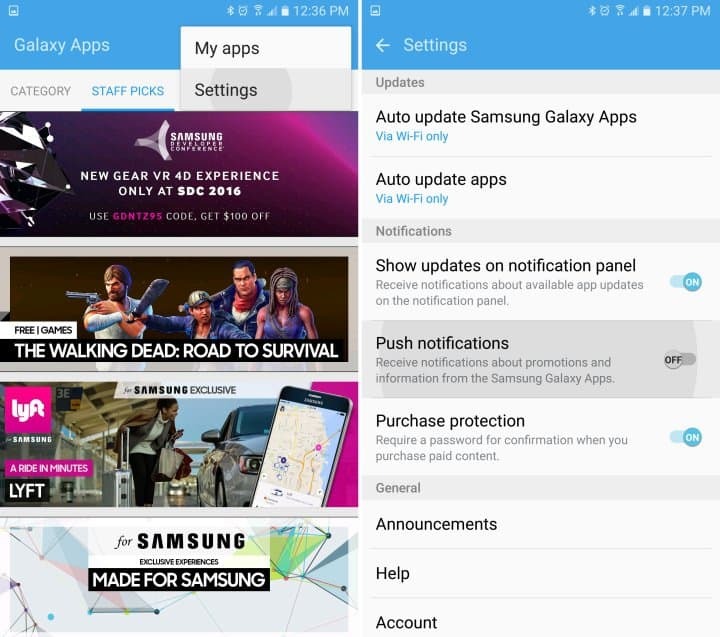 Did you find this guide to disable Galaxy Apps notifications useful? Let us know your thoughts below in the comments.